In this episode, Sam Harris and I talk for almost two hours about terrorism, and about the long, strange road that led him to become the unique thinker he now is. Also, the wonderful blog Boing Boing is co-promoting this episode (full description below). Just click the play button above to listen. My co-host Tom Merritt and I discuss pages 289-380 of the novel toward the end. 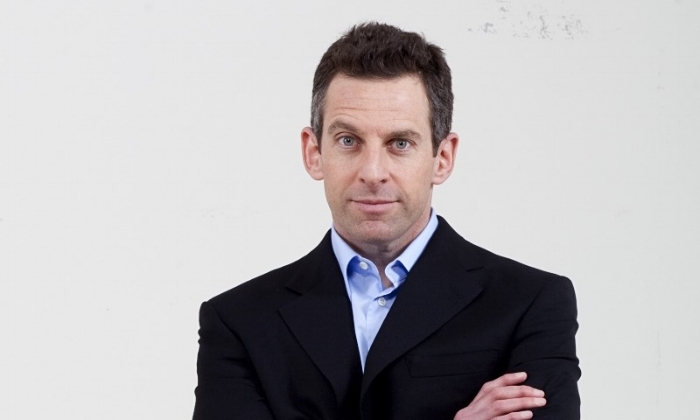 Hit play, above, to hear an unhurried interview with author, podcaster and neuroscientist Sam Harris. Few have denounced President Trump at greater length, or on more certain terms than Sam. He is equally denunciatory about political correctness – which, he believes, threatens free speech – and anyone he deems soft on Islamic terrorism. All this triggers gales of outrage on the left and the right alike – making Sam, in his way, a unifying figure. I should note his fans also span the spectrum. Oddly for a strong student at a top school (Stanford), Sam dropped out of college for ten years. Oddly for a 10-year dropout, he suddenly returned to finish his philosophy degree with honors. Oddly for a philosophy major, he then got a Ph.D. in neuroscience, while – flat-out bizarrely for a neuroscientist – writing a bestselling geopolitical book (The End of Faith). Yes, drugs were involved. As were entire years spent in silent meditation, plus boundless hours steeping in spirituality. Which (to give the lifeless colt a parting thwack) is a rather odd pastime for an atheist. Although he’s written five bestsellers, Sam’s podcast now reaches more people in a week than his books have reached over the past decade and a half. Our interview won’t have that reach! But it’s a thorough exploration of Sam’s history, and of much of his philosophy.